According to Wikipedia, “ Social Selling isn't just a buzzword -- it's become a crucial way for successful sales teams to communicate with their prospects. Social selling is when salespeople use social media to interact directly with their prospects. Salespeople will provide value by answering prospect questions and offering thoughtful content until the prospect is ready to buy. Thus, the use of social media in sales allows salespeople to delight their prospects rather than interrupt their daily lives with cold calls and hard sells, eventually converting them into loyal customers. Social Selling is the new way of selling that sales and marketing professionals must master. Social Selling is born out of the social media explosion. 23% of Sales People using Social Selling exceed their sales quote more often. 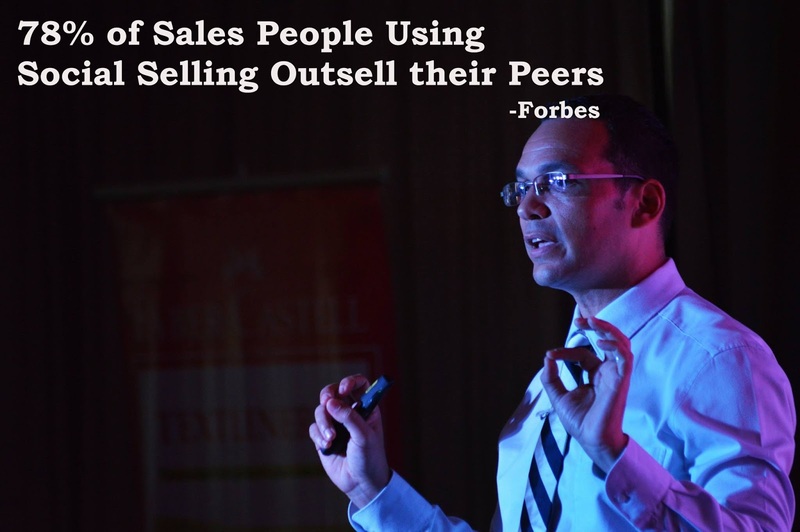 The sales and marketing professionals in the Philippines need not wait further to learn and understand Social Selling. Tom Abbott, international speaker and author, will conduct the first Social Selling Seminar in the Philippines set this coming October 16, 2015 at Crowne Plaza Hotel. Get Spin-off Business | Closing the Sale. Available slots for attendees are very limited, as of now very few seats remain. If you wanted to have one of the seats you may call at tel. no. 643-3887 or text 0920-9814376. The event is produced and organized by Exlinkevents – Business Events Organizer in the Philippines.